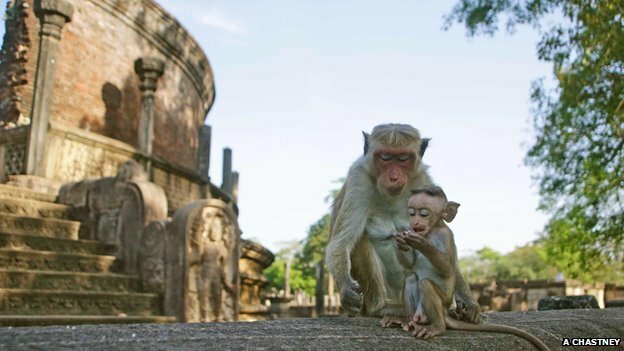 TO HONOR "EARTH DAY," DISNEY PRODUCED THE FILM, "MONKEY KINGDOM" WHICH WAS FILMED IN SRI LANKA. 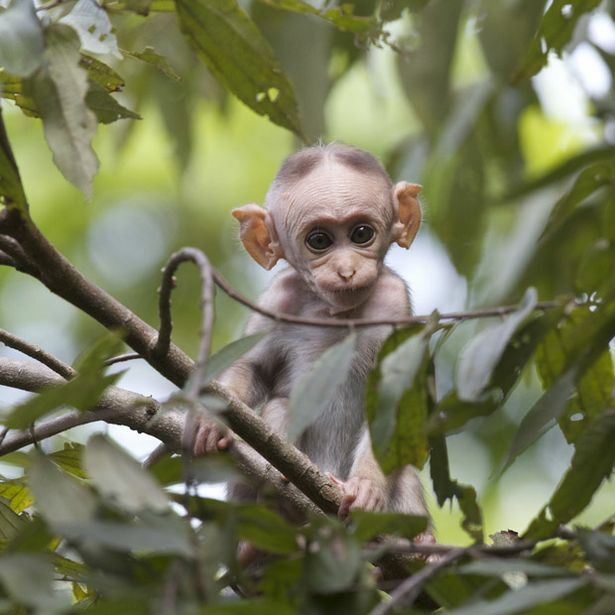 DISNEY IS DONATED A PORTION OF THE PROCEEDS FROM THE EARTH DAY SHOWING TO HELP SAVE THE ENDANGERED TOQUE MACAQUES. 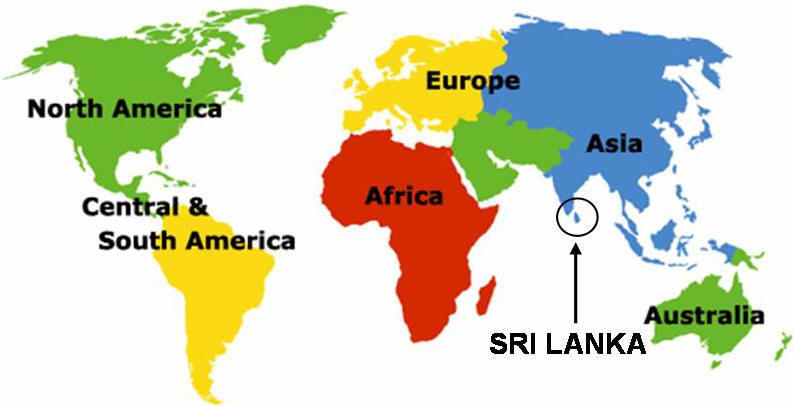 This week's place learning is about Sri Lanka and its Toque Macaques. 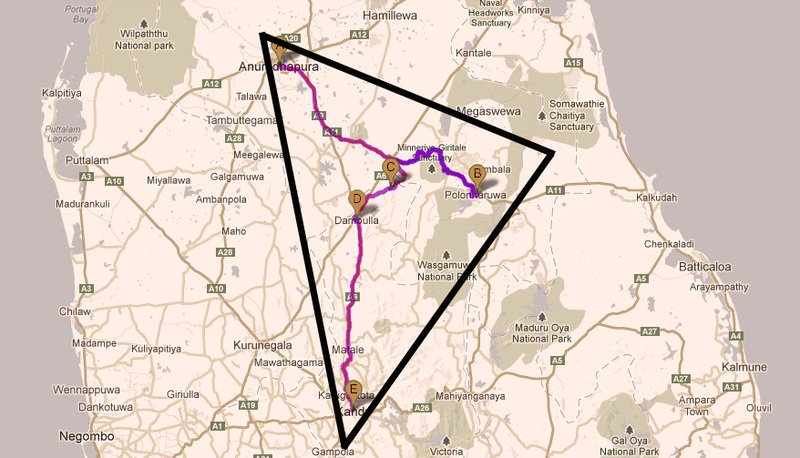 Deep in the heart of Sri Lanka is the Cultural Triangle. 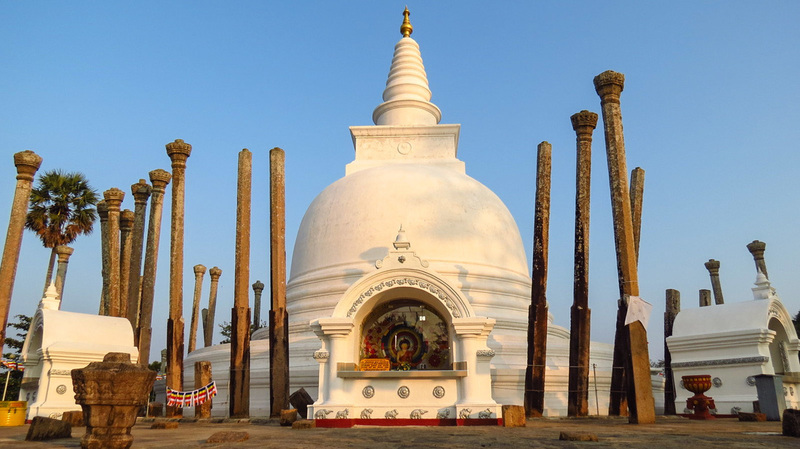 This culturally rich area is located in the central part of the country and encompasses numerous United Nations Educational, Scientific, and Cultural Organization (UNESCO) World Heritage Sites. 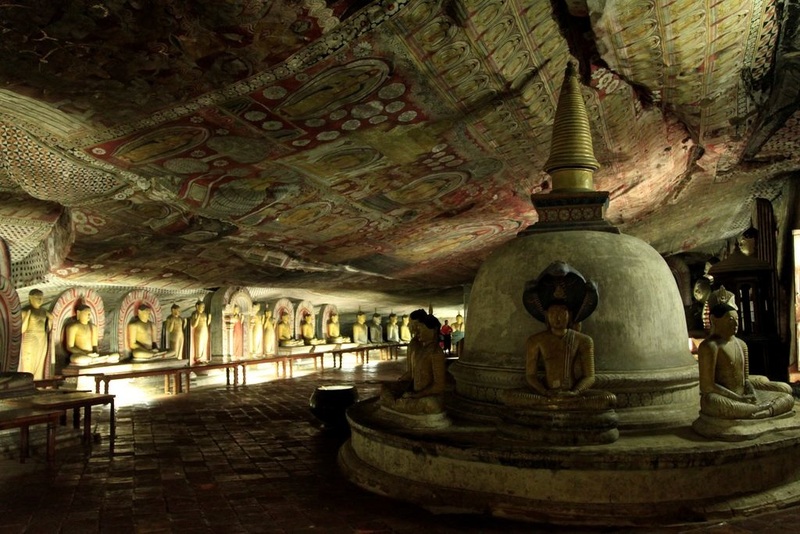 These sites include the ancient cities of Anuradhapura and Polonnaruwa, the rock fortress of Sigiriya and the Dambulla temple cave. 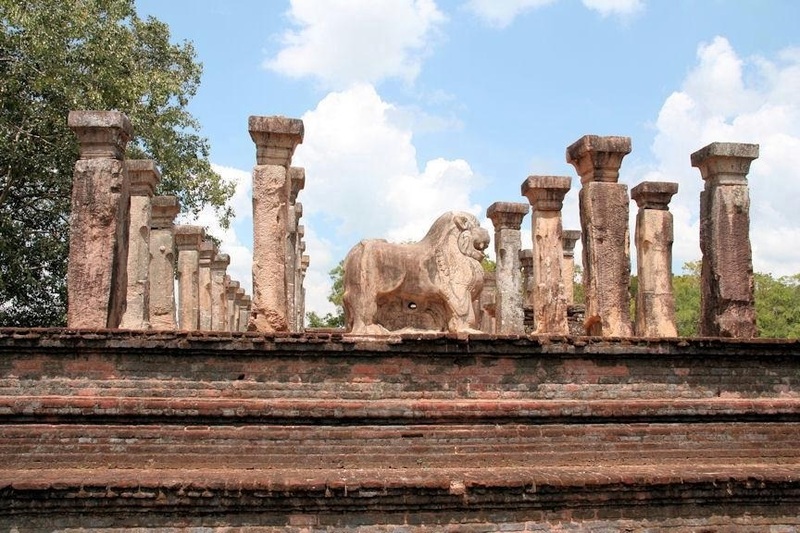 DAY 2: Over 1,000 years ago, the city of Polonnaruwa was a fabulous garden capital for the people of Sri Lanka. 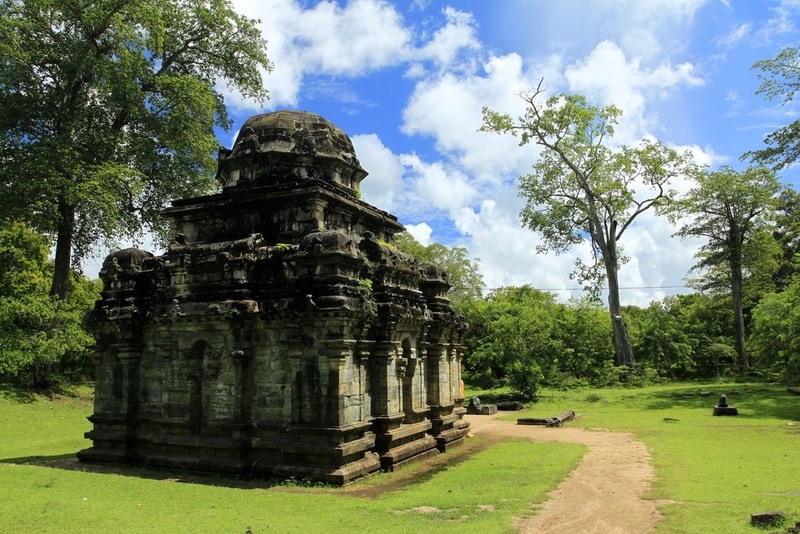 After building a lake to ensure people had a bountiful water source, the expansive grounds were constructed to include palaces, temples and Buddhist shrines. 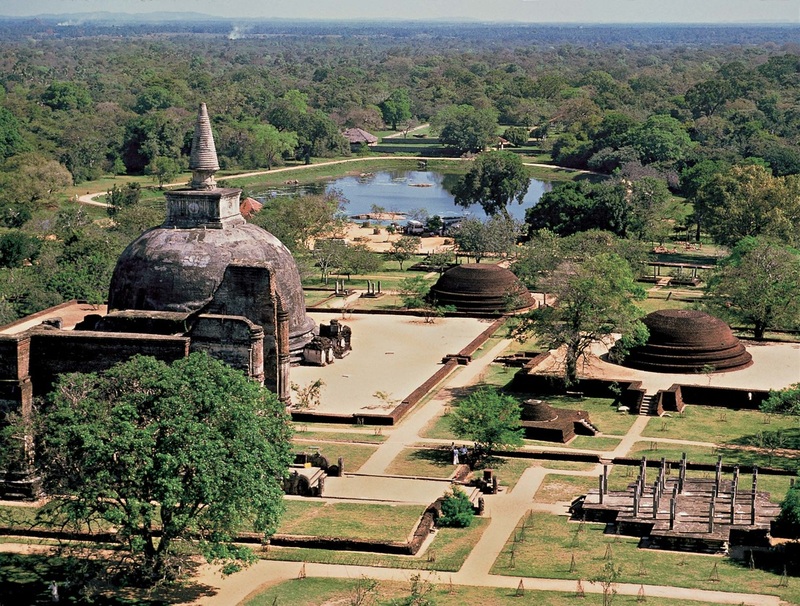 The city of Polonnaruwa would thrive for 150 years before falling due to political strife and conflict. 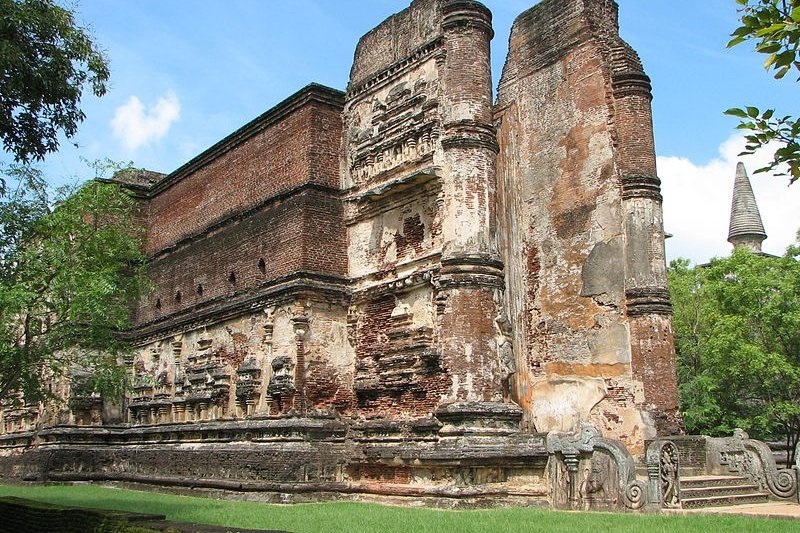 Today, the ruins of Polonnaruwa have been designated a World Heritage Site. Moonstone carvings are some of the unique ornamentations found in the ruins. Moonstones are chiseled semi-circled slabs of rock that were often placed at the base of a staircase leading to a shrine. 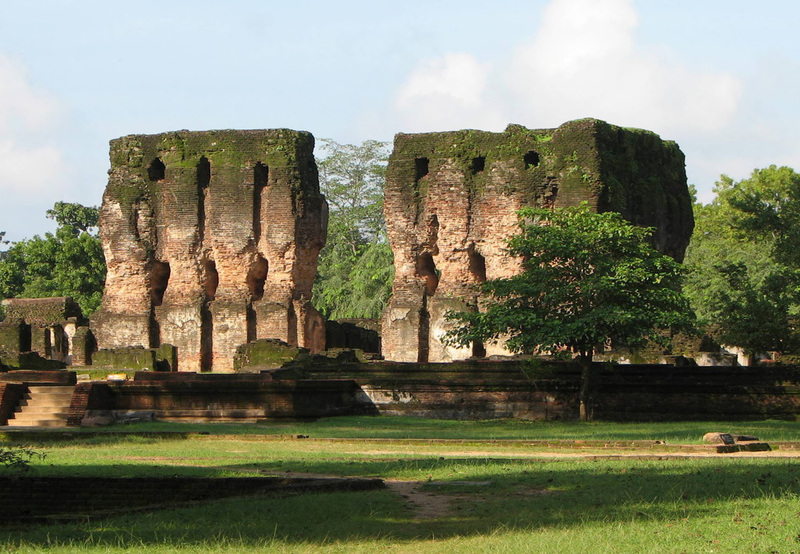 DAY 3: Within the ruins, toque macaques must find a safe place to rest and serve as their home. 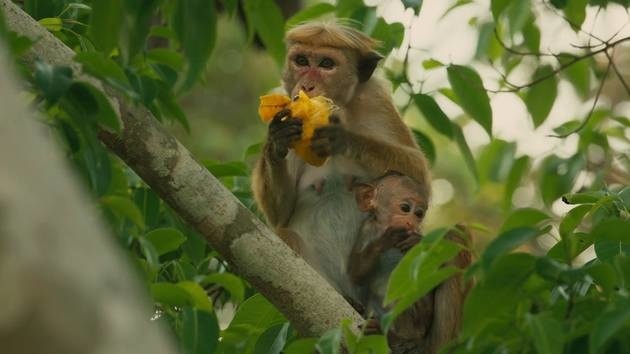 The fig tree or Indian banyan tree seen in Disneynature MONKEY KINGDOM is an excellent choice for these agile monkeys. Growing up to 100 feet tall, these trees are strong and secure. Their strong root systems extend several feet from the base of the tree making them one of the most resistant trees in the forest. 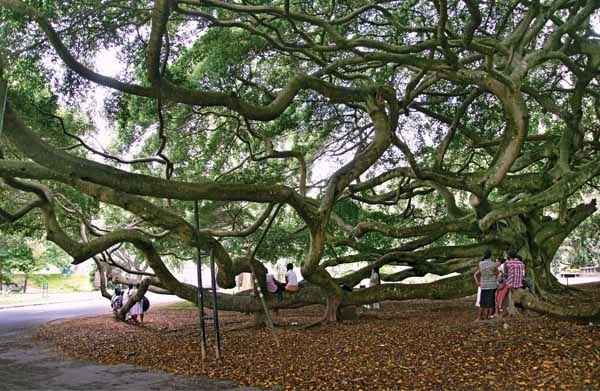 Even the changing wet and dry seasons don’t bother the banyan tree because it is drought tolerant. Strong limbs make great beds or chairs, perfect for resting or engaging in social grooming. 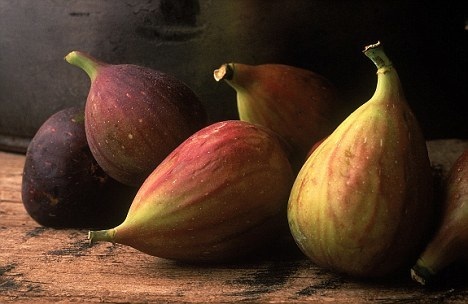 Figs make the best lunch and the evergreen leaves protect the monkeys from the rain and sun. With the banyan tree being a great home for many birds and mammals, the toque macaques end up sharing space with their forest neighbors. 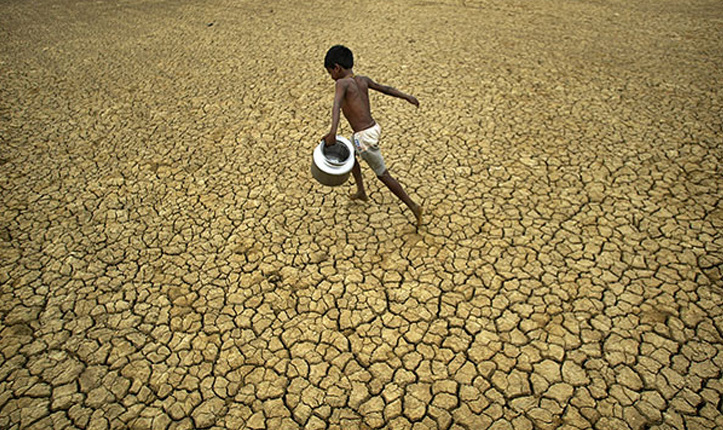 DAY 4: Sri Lanka's climate has distinctive wet and dry seasons, but as warming temperatures continue to increase around the globe, seasons have become more severe. 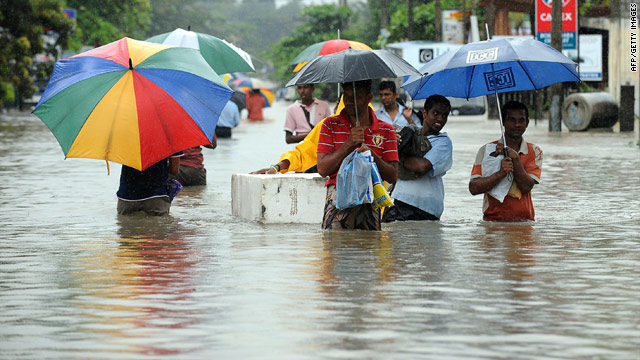 The wet, rainy season takes place from December through March in the northeast region of the island and June through October in the southwest region. 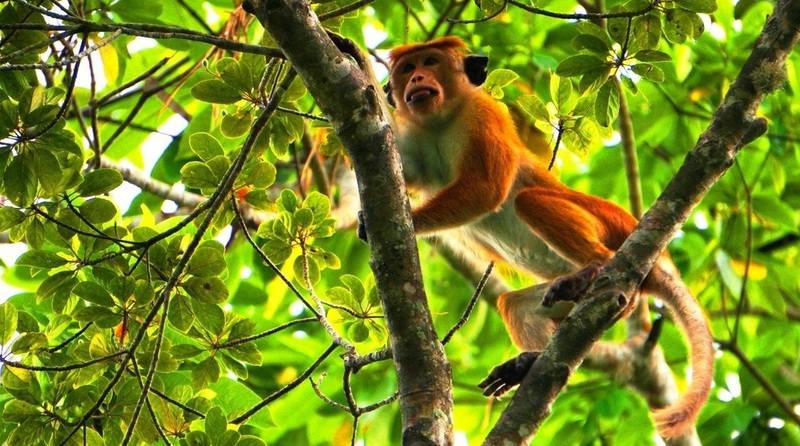 This wet season is important as it provides water, vital not only for the toque macaques, but for all plants and animals in the tropical forest. Dry seasons alternate with wet seasons in each region, and during these times water becomes more challenging to find. During the day when the monkeys are most active, they spend a lot of time on the ground looking for food. 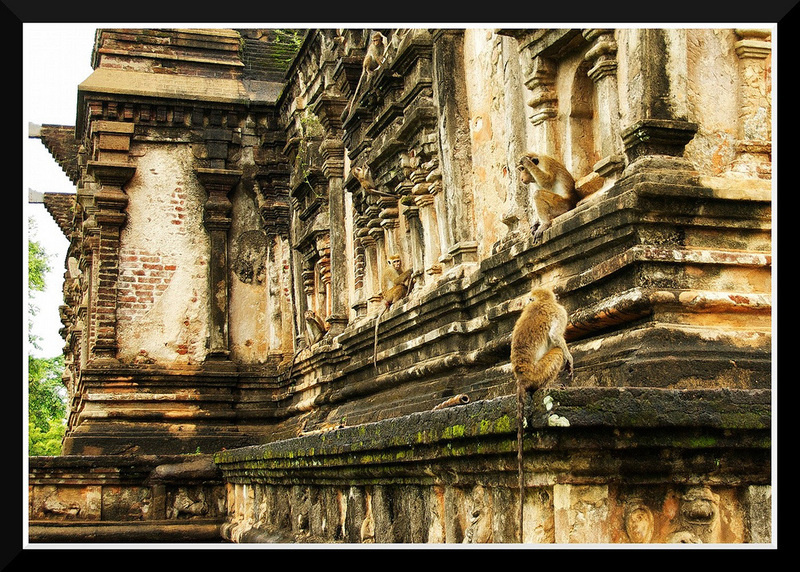 However, a favorite spot for the toque macaques can be found high above the temples in the treetops of the forest canopy. These leafy houses provide safety from predators, as well as shelter from nature’s elements. 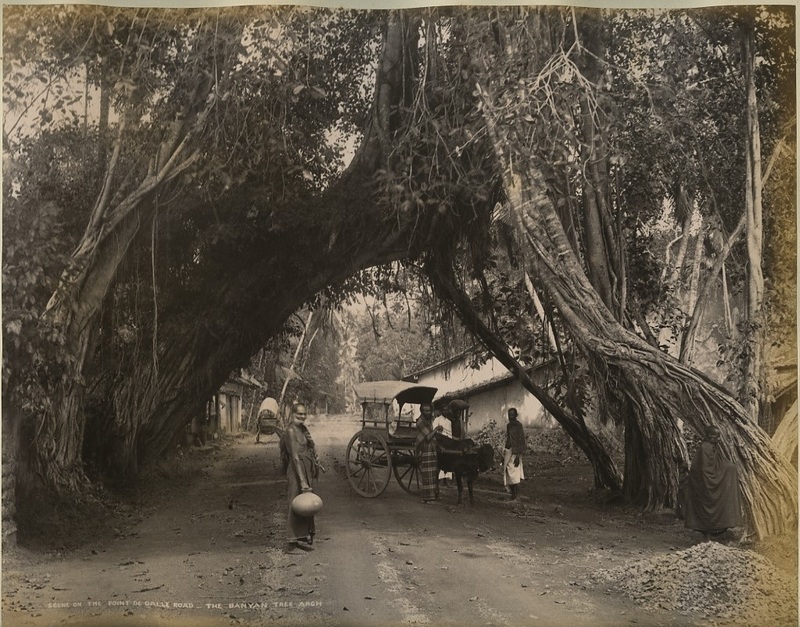 Fruit trees, such as the banyan tree, are not only a safe haven but also provide a delicious food source. Safety is the number one priority in the lives of these monkeys. 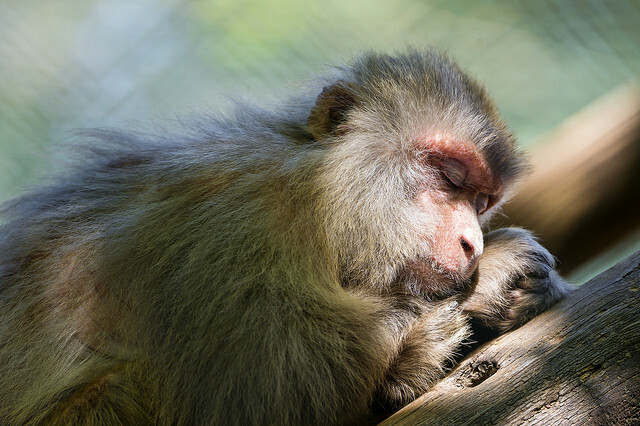 Before nightfall, toque macaques pick the closest tree to rest in and sleep. Although the troop may return to a favorite tree in their home range, they rarely sleep in the same tree two nights in a row as a precaution from catching parasitics left behind on a branch surface from the night before. Once a tree is selected, the troop members will then find positions on branches away from the trunk. When it’s time to sleep, families will huddle together, like one big blanket, for warmth and protection. 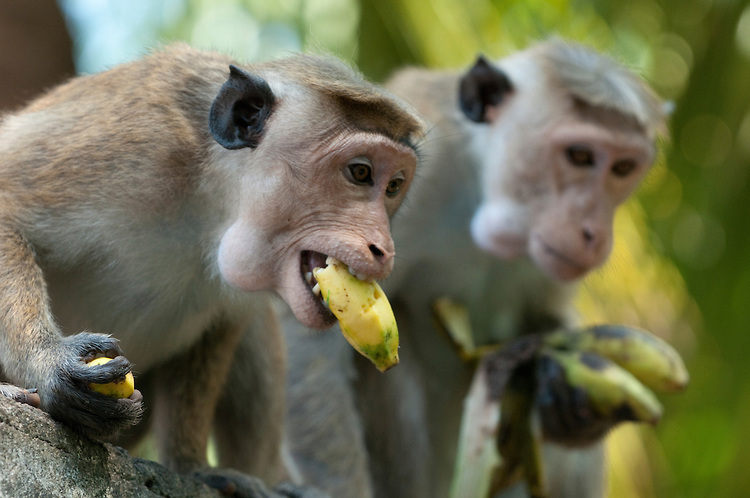 DAY 5: Though fruit makes up a large part of their diet, toque macaques are omnivores. They eat plants, insects, and sometimes reptiles and birds when they are easy to catch. 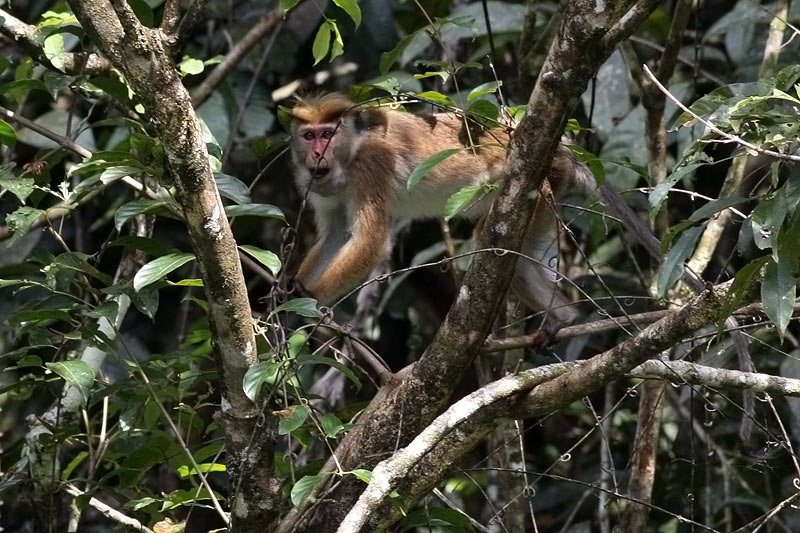 Toque macaques maintain a cautious approach as they forage in the forest, nervously looking around and eyeing their surroundings for predators or rival neighboring groups of monkeys. A unique adaptation of the toque macaque that helps with foraging is their cheek pouches. Much like a grocery bag, these pouches can hold food items that macaques find as they shop around the forest. This allows them to easily carry their food with them if they need to make a quick escape from a predator or even a more dominant monkey. Watering holes are visited daily during the dry season for a nice refreshing drink. These watering holes can be near ponds, lakes or rivers. 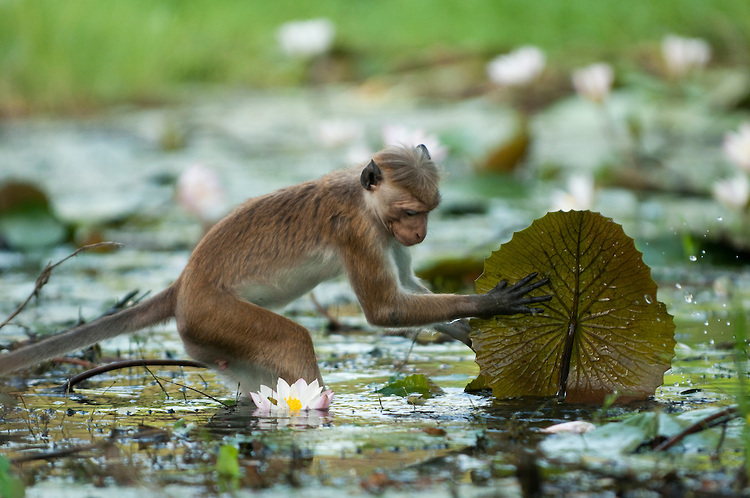 Toque macaques are excellent swimmers. 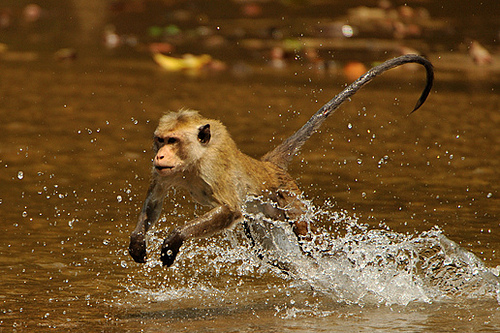 Swimming provides an expanded foraging territory for toque macaques looking for resources. They aren’t picky eaters, and they will eat what they can get to survive. 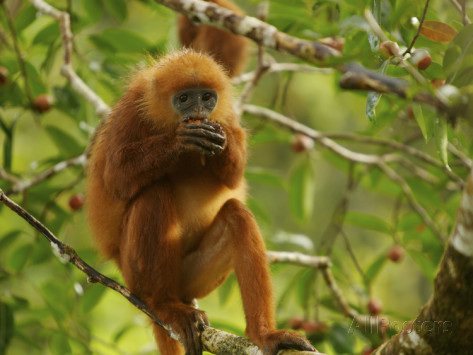 If their habitat is on the edge of a nearby town, they won’t hesitate to raid a garbage bin or pick up fallen fruit from a truck or backpacker traveling near their forest. Toque macaques are brave and curious and most of the time they do not appear to be afraid of people due to their close interactions with tourists at popular sites in Sri Lanka’s cultural triangle.